The PHT Series are dedicated cinema standard loudspeakers designed to accommodate the massive dynamic range of home cinema sources. Therefore, the design approach is quite different to conventional two-channel audio loudspeakers used for music only sources. In order to achieve the dynamic range required DreamVision has developed a transducer that will accommodate huge dynamic range signals without any distortion. A key factor in design is to have all loudspeakers, front left, centre, front right, and rear to have identical sound characteristics. This has been accomplished by the development of the Uni-Axe Coaxial Driver, utilising a compression driver and horn in the centre of a unique wide bandwidth 6.5 inch Mid-Bass drive unit. All loudspeakers have the identical drive unit/s installed to achieve uniformity and accuracy of sound. The 12 inch sub-woofer is of similar design and construction. Naturally, with the degree of dynamic range to be handled the construction and strength of the cabinets are crucial. To that end DreamVision uses expensive Birch plywood in construction (instead of MDF) in order to attain the high level of strength and specification. The Birch construction also allows vibrations or resonances to dissipate faster. The PHT X series are compact bookshelf speakers, which can easily be installed on a floorstand or, thanks to their remarkable slimness, directly onto the walls. This is why they are also referred as the “on-wall” series. With the recent addition of uncompressed, lossless soundtracks, the audiophile criterias and requirements have risen. 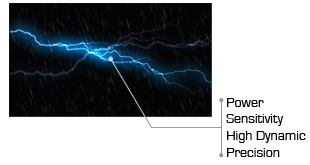 Add this to the fact that movies have a much more dynamic audio than normal music materials, it means that the PHT X speakers have to be able to accommodate larger bands from symphonic orchestras to hip-hop, or from total silence to earthquaking explosions and lightning crackles and bangs. Sometimes all this within seconds, if not in the same time. This requires power, sensitivity, dynamism and precision to play movies. Four qualities that describe the DreamVision Uni-Axe™ driver very well. The centre piece of the PHT X Series is the exclusive Uni-Axe™ coaxial driver. It took DreamVision two years to develop this unique driver with an exceptionally large bandwidth and high sensitivity. Combining the same Uni-Axe™ driver into the different PHT X speakers brings the same dynamic and the same tone to all the audio elements. Therefore it is possible to compose any size and any variation of surround audio system that would have the same linear, rich and precise response on the whole spectrum. 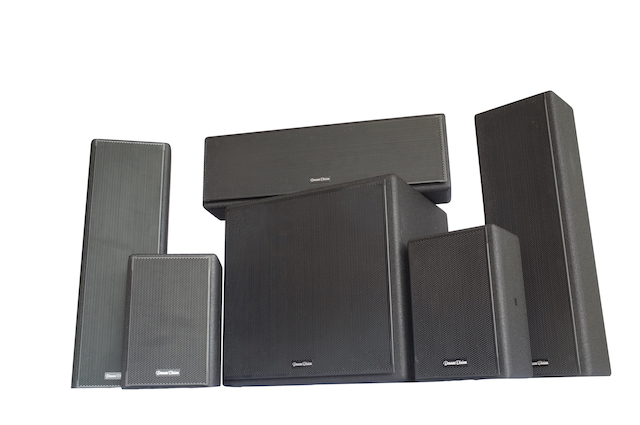 DreamVision use the highest quality birch wood, heavy-duty paint and high density fill to obtain not only the clearest and deepest sound but also the strongest cabinet. 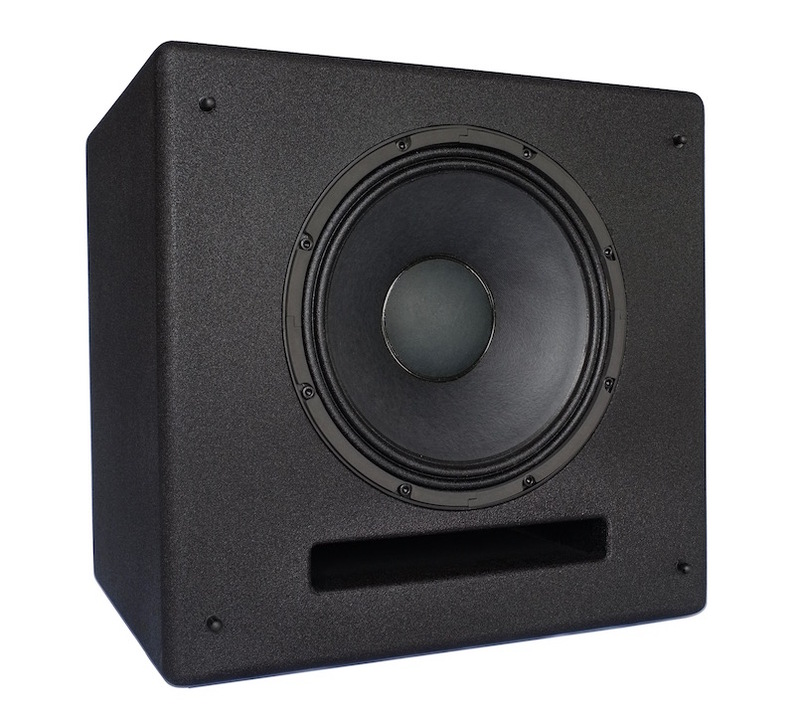 All the PHT X Speakers come in the professional, heavy-duty, black paint finish. This texture improves the paint durability and the cabinet lifetime, even in harsh environments. 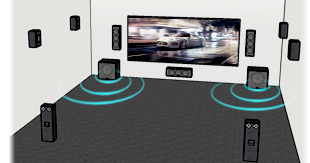 The X1 will generally be installed on left and right of the projection screen in classic Home Theater rooms. The X1 can also be used as a vertical surround element in larger rooms. 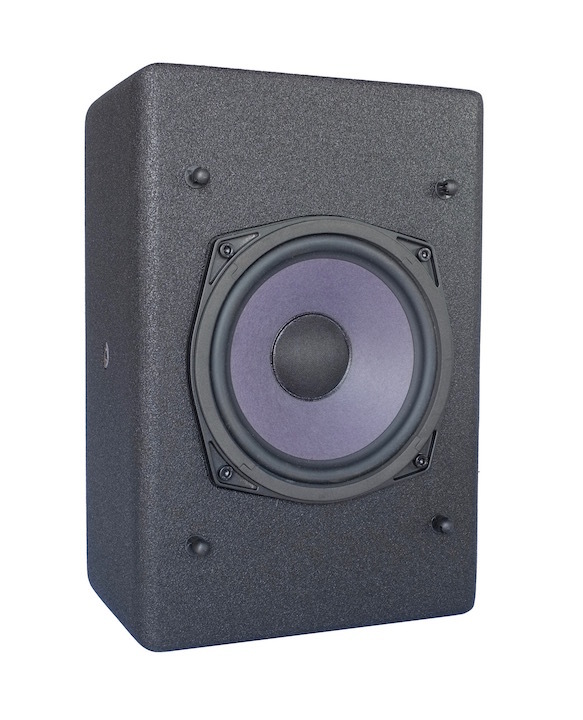 The X2 are the horizontal version of the X1, aimed to be used as the central speaker, it also can be used as an horizontal surround element in large rooms. 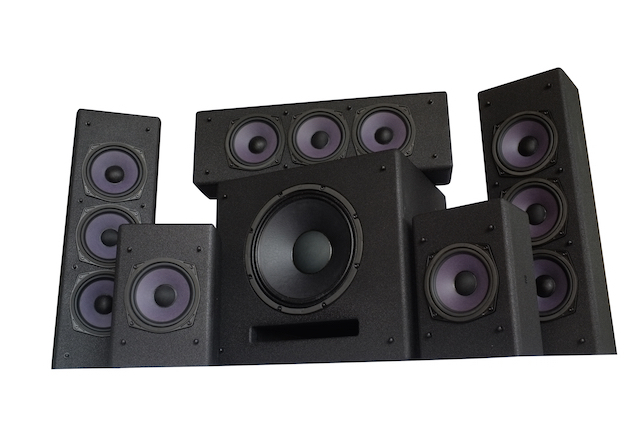 The X3 are the smaller version of the X1, they are used as surround speakers, but can also be used as overhead speakers in Auro3D, Atmos and X installs. The X4 is a passive 800W RMS subwoofer. It is a key element when watching action or SF movies.